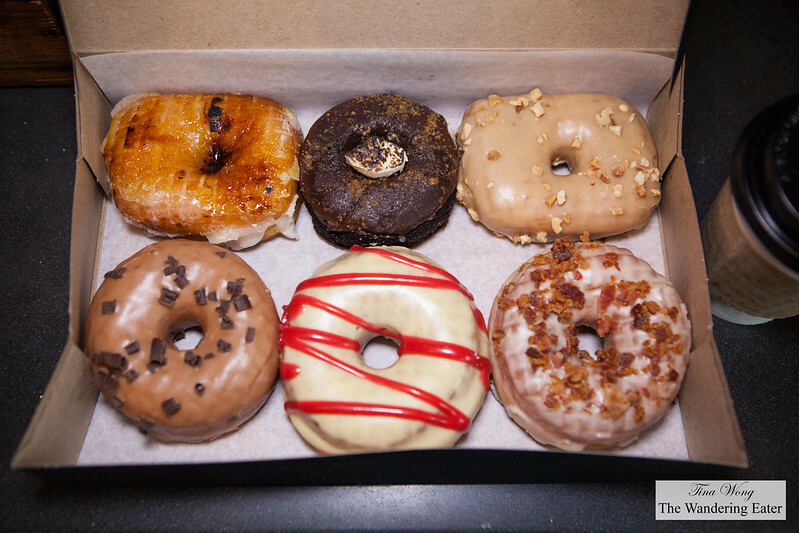 I’ve come to realize during my trip to D.C. is the renaissance of artisanal doughnuts. Doughnuts that are meticulously made by hand and in small batches. 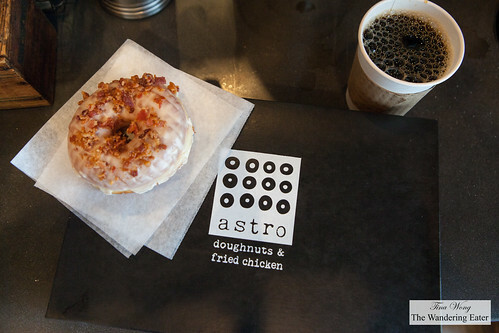 Another great doughnut destination is found in the Metro-Downtown Center called Astro Doughnuts & Fried Chicken. 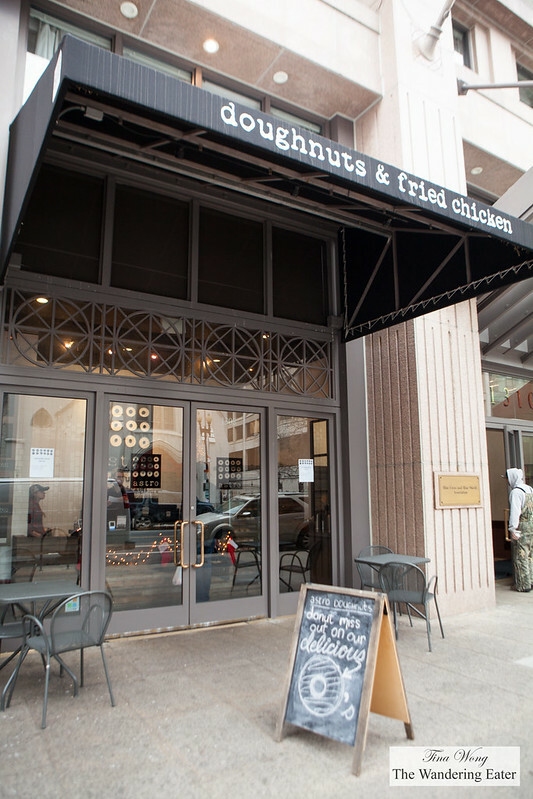 THey are convenient if you are either giving your credit card a workout with the many department stores and shops in the area or if you’re working here since the business district is not too far from here. 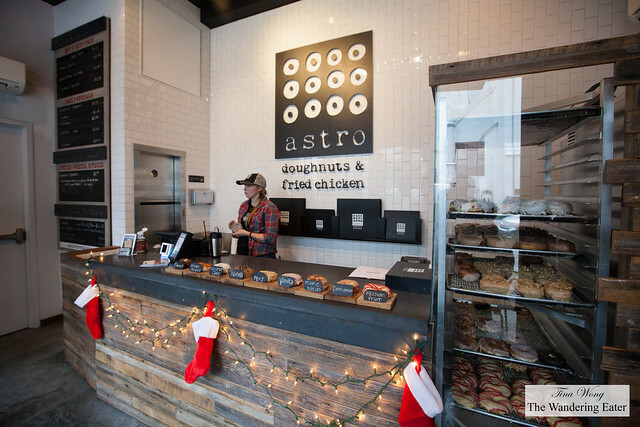 Astro Doughnuts is a storefront shop that sells nine flavors (when I was there) and during the late weekday mornings, fried chicken and doughnut sandwiches(!). I had to start off with their maple bacon ($2.95) just because I adore the sweet-savory combination. They do make their doughnuts very well. 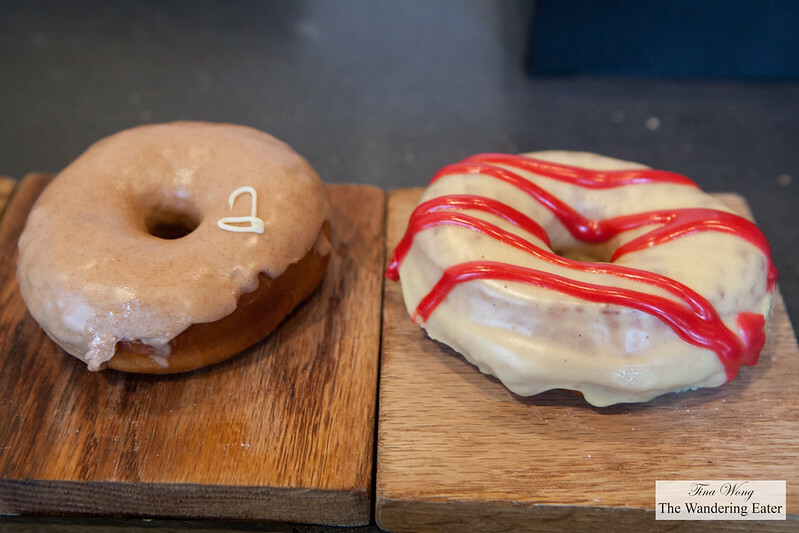 The doughnut itself is light, airy and a delicate crispness. 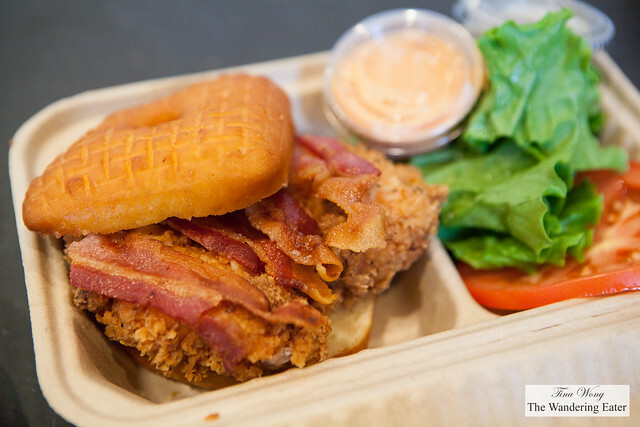 The maple glaze and crispy, salty bacon was a great balance. I shared my box with friends and had tried their passion fruit berry (a monthly special flavor, $2.65), s’mores (another special flavor, $2.65), peanut butter & jelly ($2.95), and crème brûlée ($2.95). All of them were fantastic in its own way. If you had to ask me which I really like the most, having a crème brûlée doughnut just made is out of this world and their passion fruit berry was excellent with the balance of sweet and tart. 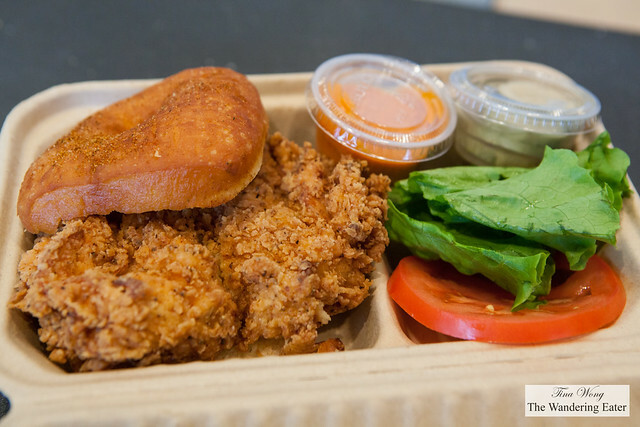 Brunch at GBD (Golden Brown Delicious), Washington, D.C.
Astro Doughnuts & Fried Chickendoughnutsfried chickenWashington D.C.